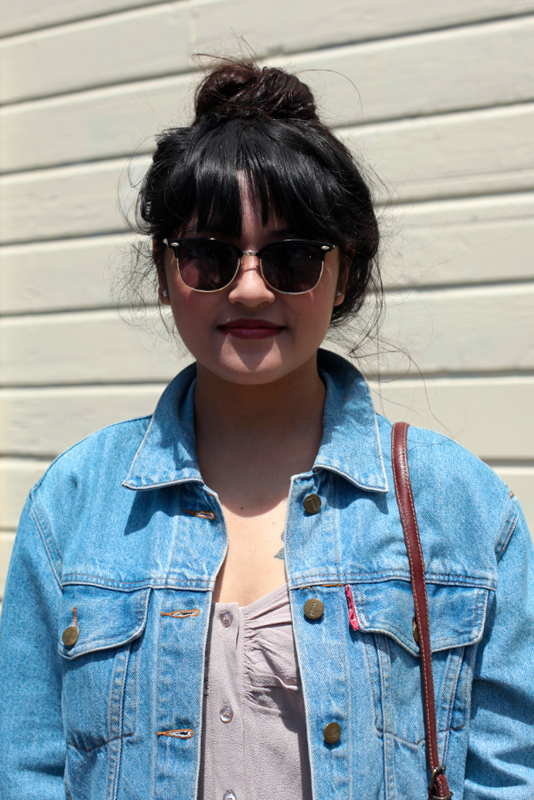 "I just try to pick something that is comfortable and I read a lot of fashion blogs. I like [inaudible] and Calivintage." Something sweetly 90s-esque about her outfit and how she styled it (top knot, red lipstick, and those sunglasses). Anyhow, layers for our mercurial weather was perfect on this day. Cute shoes, reminds me a bit of huaraches.